Genuine Tacquerias are not supposed to be romantic. And I’ve found over the years that there’s a difference in decor (and food) between them and “Mexican restaurants”. 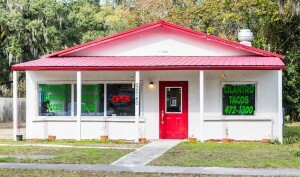 Cilantro Tacos, located at 25740 W. Newberry Road, in Newberry (west of Gainesville) fits the bill. It’s fluorescent lights leave no darkened corners in which to hide, sneaking smooches with your date between bites of tacos or burritos. It’s bright, but clean and the staff is friendly and efficient. 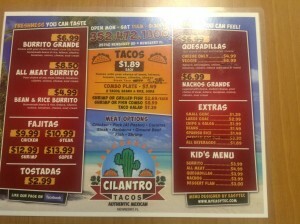 But best of all, the food is excellent, fresh–and relatively inexpensive. 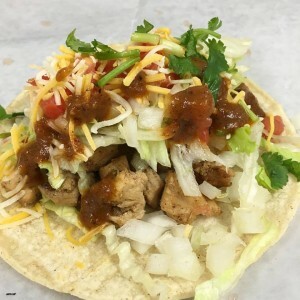 I’m always a sucker for carnitas, and the tacos that include them are excellent. And, a plate of 3 makes a nice dinner or a filling lunch. My friend, Capt. Rick Davidson is a fan of their burritos, usually eating the “kiddie” sized one rather than the grownup version. And then there’s the barbacoa (pictured above). It’s the favorite of the family that runs the place–for good reason. 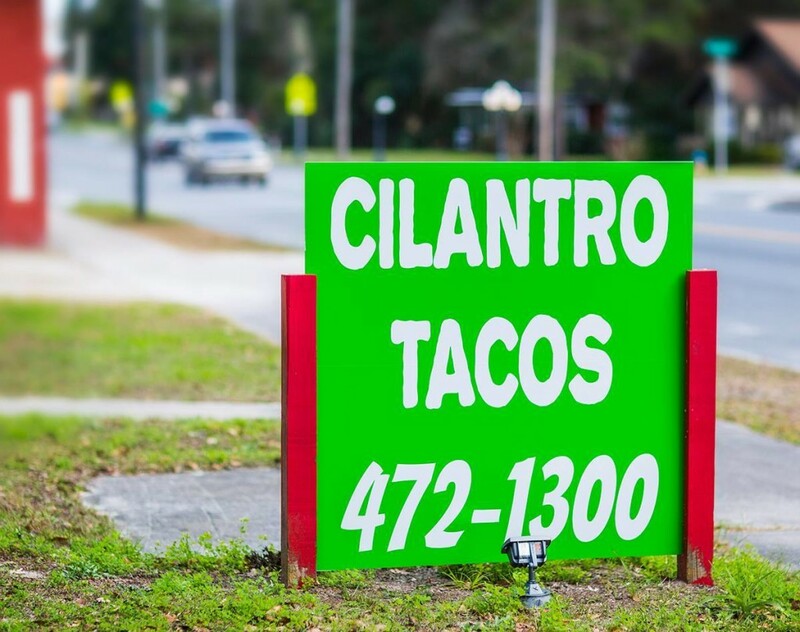 Cilantro Tacos has recently joined the Gainesville food truck craze, offering tacos at local breweries. The locations change frequently, but if you like them on Facebook, you’ll be able to keep up with the locations.